The town of San Diego described by Dr. Jose Rizal in Chapter 10 of the Noli is a microcosm of a typical Spanish pueblo. 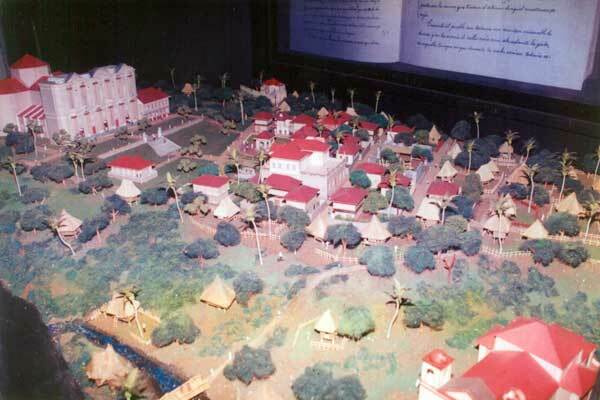 An interactive video presentation of the miniature San Diego comes to life in the Spanish period of the Museum. This entry was posted in Ruby Tuesday and tagged National Historical Institute, national museum, Spanish Pueblo on April 4, 2011 by Yami. Always wonder why roof top are chosen to be red. Cool miniature sis. Spanish era pa. 🙂 My late rt visit, My Ruby Tuesday.